Mona Reese: Bio & Choral Music | Santa Barbara Music Publishing, Inc.
Mona Reese (b. 1951) has been composing professionally since 1975. 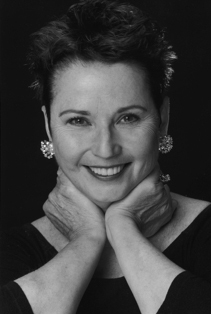 She was Composer-in-Residence at the Minnesota Opera from 1991-1999 during which time she arranged works for their touring company and conducted educational residencies to help students write and produce original operas. In 2000 she received the Continental Harmony Commission, a program created by The American Composers’ Forum and the National Endowment for the Arts to enable small to mid-size communities in each state to commission new pieces for the millennium. Reese composed Suite Carroll County for the Carroll County Orchestra and Chorale in Carrollton, Ohio. In 1993 she was awarded a Faith Partners Residency sponsored by the American Composers Forum and the Otto Bremer Foundation. During this residency, she collaborated with Delores Dufner, OSB, on the dramatic oratorio Choose Life, Uvacharta Bachayim. Choose Life was nominated for the 1995 Pulitzer Prize. Reese’s opera The Three Fat Women of Antibes received its premier performance with orchestra in May 2009 by the San José State University Opera Workshop (Michel Singher, Music Director, Daniel Helfgot, Director).The opera, written with her husband and librettist Thomas Hassing, is a humorous chamber opera for four singers based on the W. Somerset Maugham short story of the same name. The opera premiered in Minneapolis, Minnesota in 1998. Other performances include the University of Kansas Opera Studio (2002), Goat Hall Productions (San Francisco, California, 2003, selections), and Gregory Weist (Munich, Germany, 2005, selections).Reese was selected to spend the month of June (2003) as a Studium Scholar-in-Residence at Saint Benedict's monastery in St. Joseph, Minnesota. During her time there, she planned the chamber orchestra composition Little Pieces from My Heart, commissioned by the San José Chamber Orchestra. Reese’s orchestral works have been performed by orchestras throughout the country including the Minnesota Orchestra, the Livingston Symphony (New Jersey), the Atlanta Symphony, and the San Jose Chamber Orchestra. She had her first European performance with the Czech Radio Symphony in February of 1997. Learn more about Mona Reese at www.monareese.com. Mona Reese has 1 titles published with Santa Barbara.